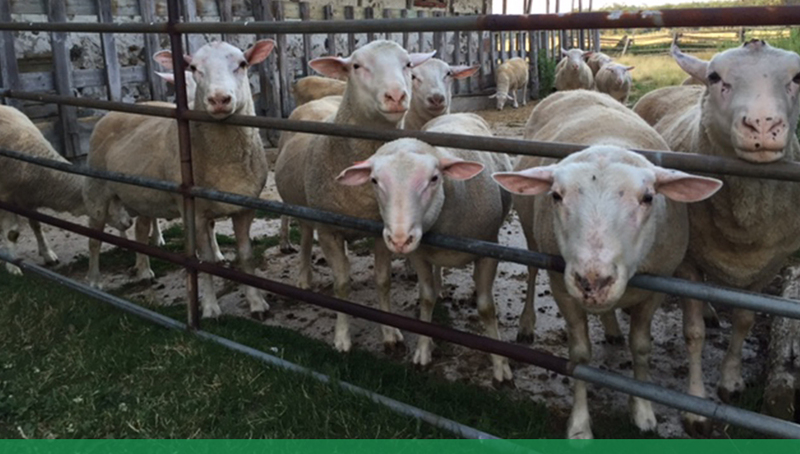 Moving from Manitoba to Ontario with their flock in 1998, Eric & Elisabeth Bzikot discovered the growing demand for sheep's milk. After some research in Europe, they realised that they already had the best breed for both lamb and milk production. Best Baa Dairy practices the philosophy of environmental sustainability while maintaining high animal welfare standards. Best Baa has always believed that the land and animals which provide us with a living deserve our respect and care. After several years of development we are now a vibrant enterprise which offers breeding stock to other farmers and lamb, milk, fleeces and sheep's milk products to an ever growing list of wholesale and retail customers. Sheep milk is delicious and nutritious. 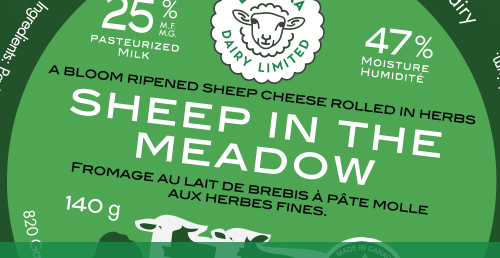 High in protein, packed with calcium and loaded with all the B vitamins, our sheep milk is pasteurized but not homogenized. Fluid milk is also available to licensed cheese plants. 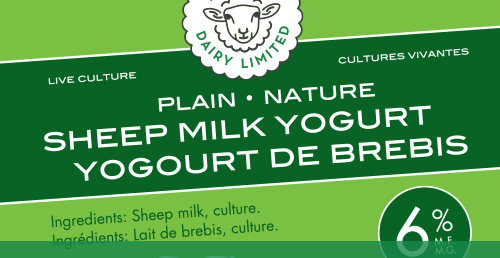 Not surprisingly, our yogurt is reminiscent of its Greek and Balkan relatives as they too are made from sheep milk. When you open our yogurt, you'll see a thin layer of cream. Underneath is a rich, luxuriously thick yogurt. 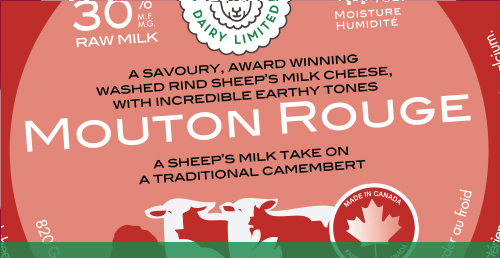 The thickness isn’t due to additives (like many yogurts) – it’s solely due to the high nutrient content of sheep milk. It contains as much as 50% more protein solids, double the calcium and magnesium while being gentler to your stomach than it’s cow milk counterpart. Our plain yogurt has only two ingredients – milk and bacterial culture! 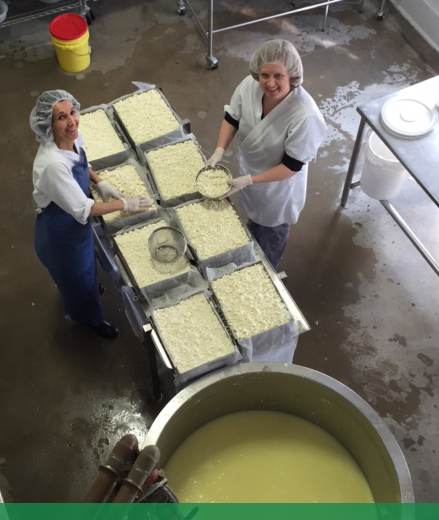 Our traditional Greek style feta is available made from pasteurized and raw milk. The flavour in both is tangy and full with hints of lemon. 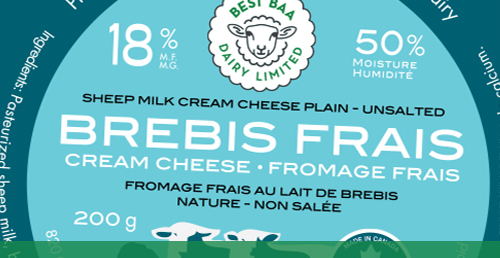 Brebis Frais is french for "fresh sheep milk cheese", and that's exactly what our cream cheese is—think of it as a sheep milk version of chèvre, or fromage blanc. 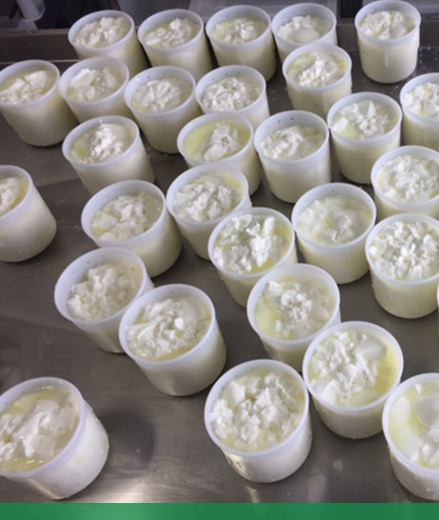 Most of our customers compare it to cream cheese and indeed the cheese is creamed (lightly beaten) during manufacturing. However, no cream is added, so it is lower in fat than true cream cheeses! The taste is creamy with a refreshing mildly acidic tang. 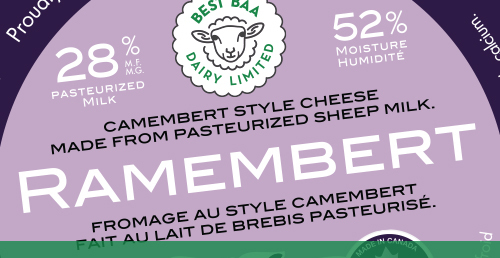 Ramembert is our version of Camembert (we just can’t stay away from a good pun… at least we think it’s good!). This small, bloom ripened cheese is available made from raw or pasteurized milk. The exterior is fluffy and white concealing an ivory white interior. The paste is creamy and smooth with an earthy, mushroomy aroma. This lactic cheese has a bloomy rind sprinkled with Herbes de Provence. Rosemary and thyme dominate the aroma while mushroomy undertones also filter through. Close to the rind, the texture is creamy and increasingly firm towards the centre. Luxuriously smooth, the creamy paste is imbued by the herbs. It is a versatile cheese when enjoyed in its early, fresh cheese stage or in its later ripened state. A traditional light and creamy classic. An excellent source of calcium and protein. Great for baking or enjoy fresh with your favourite toppings. As playful as its name, this mild yet pleasing cheese is full of surprises. The reddish tinged rind encases a pale, creamy yellow paste, dotted with small holes. The aroma is fresh and grassy. The nutty rind contrasts beautifully with the mild, slightly buttery inner paste. A lingering creaminess remains on the palette. 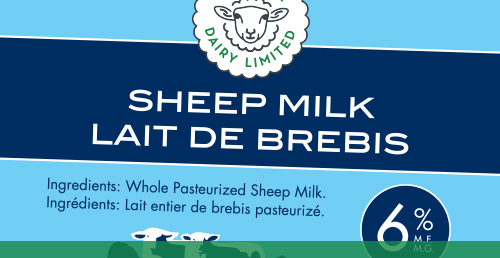 As the main distributor of sheep's milk products, we supply many stores in the Toronto, Kitchener-Waterloo and Guelph regions as well as surrounding areas. These stores tend to be health food stores but some specialty food stores and grocery chains also carry our products. Click below to find out if Best Baa Dairy products are available near you. At Best Baa Dairy, we believe the viability and sustainability of the family farm is the backbone of rural communities. We are stewards of our land and are committed to a positive environmental impact. We are respectful of our sheep and grateful for the industry they provide. We believe they should enjoy life, indulging in natural behaviours as outlined by the Five Freedoms practiced by farming communities in the UK. By providing our animals with the five freedoms, they tend to be healthier and need less – or no – medication. We are committed to the production of wholesome milk from healthy, happy ewes. From the beginning we have followed these Five Freedoms guidelines in addition to the guidelines set out by Local Foods Plus. Local Food Plus (LFP) was an award-winning non-profit organization that certifies local sustainable food producers who reduce or eliminate pesticide use, treat their animals well, conserve soil and water, protect wildlife habitat, provide safe and fair working conditions, reduce energy use, and sell locally wherever possible. We hope that between these two guiding forces we ensure that all of our products from the dairy are of the highest quality possible. Sheep's milk is delicious and nutritious! 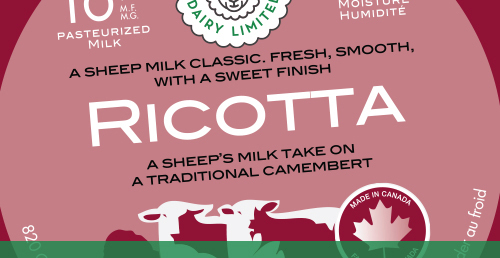 High in protein, packed with calcium and loaded with all the B vitamins, sheep's milk is often an alternative for those sensitive to cows milk. Sheep's milk maintains the same volume when converted to yogurt creating a richer, creamier product without the use of thickening additives. 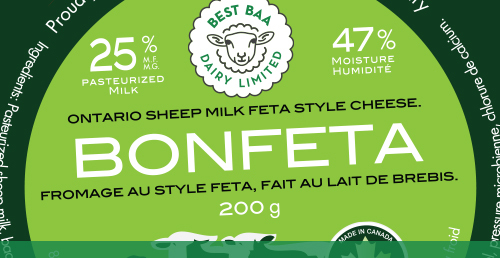 When used for cheese, the moisture and fat content of sheep products are comparable to their cow and goat equivalents. However, minerals such as calcium and magnesium remain higher as a result of less whey being created during the cheese making process. All of our ingredients are 100% Canadian. Our milk is locally sourced within 100 kms of our processing facility. Our producers pasture (grass) feed their flocks during the warm season. Hay is cut from the same fields of alfalfa for the winter months. The sheep’s diet is supplemented with a grain during the cold months but are never fed corn, soya or any other foodstuff of GMO origin. Our packaging is recyclable and BPA free. Have questions, want to visit the farm, or looking for more information? Don’t hesitate to get in touch. © Best Baa Dairy Limited.